re is another exciting contest lined up on Day 6 of the 2018 Hockey World Cup. The heavyweights in Group A - Argentina - will be going up against the Black Sticks from New Zealand. This promises to be a gripping match as both the teams are coming into it on the back of wins. 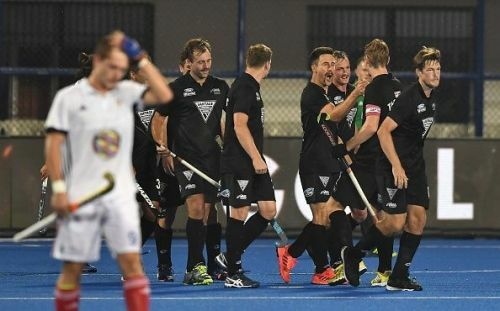 The ninth-ranked New Zealand team went up against France in the first encounter of their campaign. Many would have expected this match to be a cakewalk for the Black Sticks but that was not at all the case. Darren Smith and his troops faced a tough challenge from France. Eventually, the Blair Tarrant led side went on to win the match 2-1 with goals from Kane Russell and Stephen Jennes but they were living dangerously throughout the match. New Zealand managed only 6 shots on goal and had fewer circle than the French who are a much weaker team on paper. Gaffer Darren Smith would not be satisfied with how his boys performed in their previous match and would want them to go all guns blazing in the match against Argentina. The Argentinians, on the other hand, scraped past the World Rank 8 Spanish side in their first match. There was not much separating the two teams but a brace each from Mazilli and Peillat helped them to a 4-3 win in the end. The match very nearly ended in a draw but Spain's Gonzalez squandered a brilliant opportunity to make it 4-4 in the dying moments. Germán Orozco's team in no way looked like they are the heavyweights in hockey and ranked 2nd in the world currently. Credit also has to be given to a spirited Spanish side for making Los Leones so hard for their win. After all Hispanic classic, Argentina should be ready to face a stiff challenge from New Zealand as well. It is a crucial match for both teams as a win here would increase their probability of heading straight to the quarterfinals by topping Pool A. The Lions would be the favourites on paper but the spirited New Zealand team is known to cause big upsets. The atmosphere in the camps of both teams has already started to get tense as the match approaches. 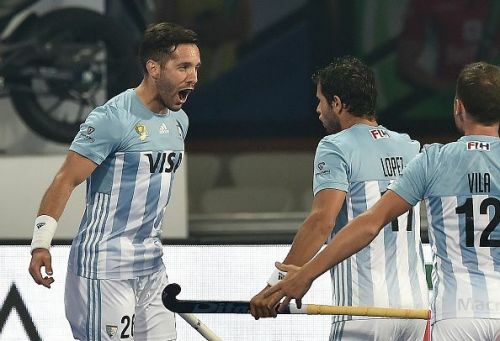 The Argentinians -- who were the 2016 Rio Olympics gold medalists as well as the 2014 Hockey World Cup bronze medalists -- should manage to get past New Zealand albeit after being made to work hard.